With over 100,000 items on the Amazon Subscribe & Save program, this can be one of the easiest ways to get items you need and never leave the house. I’m all for not needing to go out and shop, but I still want to know I got items at their best price! 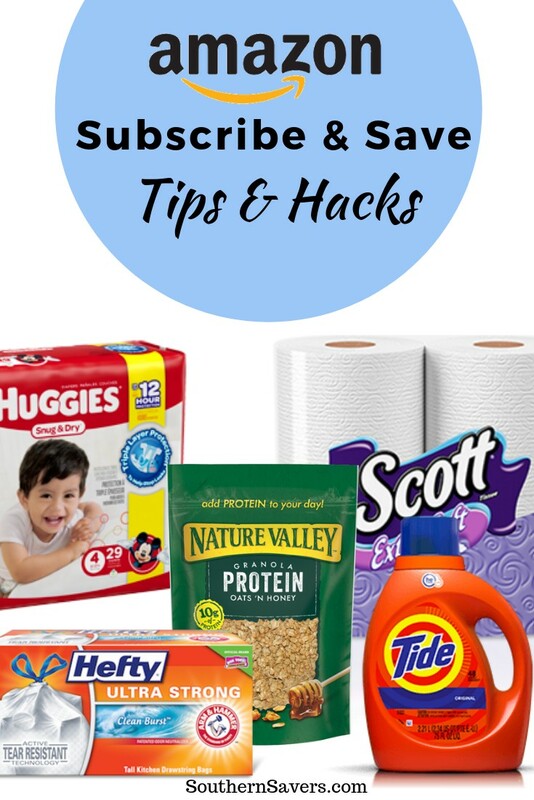 Here are my favorite Amazon Subscribe & Save tips, tricks ands hacks for getting the best prices on everything you order. First, What is Amazon Subscribe & Save? When you buy participating items on Amazon they offer an option to let you put items on a recurring order. 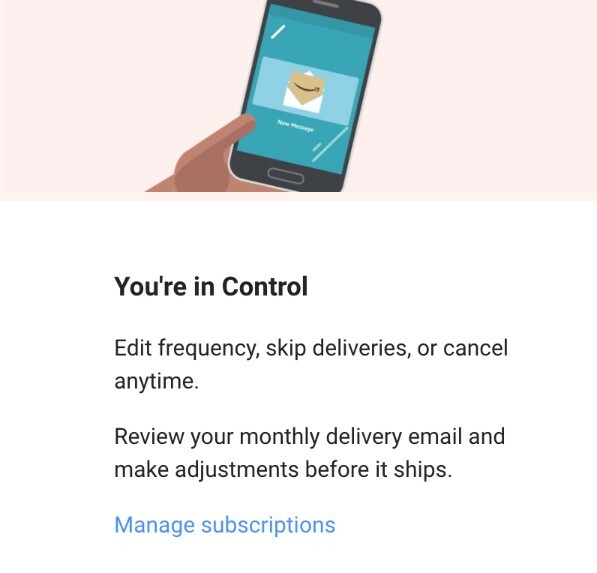 You can select to get items monthly or up to every 6 months and get extra discounts depending on how many subscriptions you have at the same time. Depending on how many items you are subscribed to you can save from 5% up to 15% off. In general you always want to have 5 items in your monthly order so you can hit the extra savings! Not to sound like a broken record, but seriously… never let your subscribe and save order ship and only get the 5% savings. There are a few easy things to do to get extra items without adding a large extra cost. To put this into number for you: Let’s say you are ordering $45 worth of products in your Subscribe & Save order. With 5 items, the 15% savings would be $6.75. I’d rather order something less than $5 and basically get it for free than loose that $6.75 savings. An easy way to get to 5 items is to order more than one of the same item. You can’t just add it all at the same time though… If you change the quantity to 5 and then hit the Subscribe & Save button, Amazon will count that as one item. Instead, order one item. Go back and order another and so on for as many as you want. Each separate order counts as a separate item! This can also apply to the filler items above. Note: Any coupons or offers will still only apply to one item. Whether you want to save on something you need or you’re looking for a cheap filler item, always look at the page of current Amazon coupons. We also keep a page updated with the top current Amazon coupon deals, many of which can be applied to Subscribe and Save items. Note: Coupons are one time use, and only come off the item the first time you order it. However for some brands we see regular coupons, so make sure to check each month if new offers are available for your items. If you are so stocked on toilet paper that you don’t need it this month, you can always adjust your order. However… never select to skip the order. Instead always select to change the delivery date. When you chose to skip an order they automatically remove any coupons or discounts that applied to that item in this order! However changing the delivery date keeps your coupons applied! You can put it in next month’s order this way (similar to what skipping it would do) and still have the price you wanted to pay. There are no penalties for canceling, skipping or changing a delivery date. About a week and a half before your scheduled delivery date, you will receive an e-mail from Amazon with a reminder to check your subscriptions. Do not ignore this email! This is your chance to double check a few things and your last chance to add items if needed. Check to make sure prices have not gone above a price you are comfortable paying. Do you have 5 items? Need to add filler items? Click through each item and make sure there are no current coupons you could apply. Check the current Amazon Deals page to make sure there are items you want to add now while you have 5 items (finding a great deal the day after your subscription ships is a huge bummer). You can always cancel a Subscribe & Save order, however you want to only do that after the first order has shipped. Canceling before the ship date can either cancel the order entirely or affect the 5-15% savings. If you ordered something only because it was a crazy good deal, always go ahead and cancel it after it ships. You’ll forget why it’s in your subscriptions if you keep adjusting the ship date and leave it hanging around. Some Subscribe & Save offers and/or coupons are only for Amazon Prime members. As a member I’m okay with this as it makes me feel special (that’s the point really). If you aren’t a Prime member you can join and get a 30 day free trial to see if the savings do add up. Tip: You can invite family members to share prime with you. While they can’t do everything a full member can do, they can order items and take advantage of prime only offers. Don’t worry they have their own login and account. If you are an Amazon Prime member with kids, make sure to also take advantage of Amazon Family. This gets you up to 20% off subscriptions of diapers, baby food, & more. Think about things that you buy regularly (not necessarily every month—just more than once a year!) and then compare prices. You can use our item search to compare the Subscribe and Save prices with the price you could get in-store with coupons and other deals. Here are some items that I’ve found to be worth buying through Subscribe and Save (depending on the current prices). 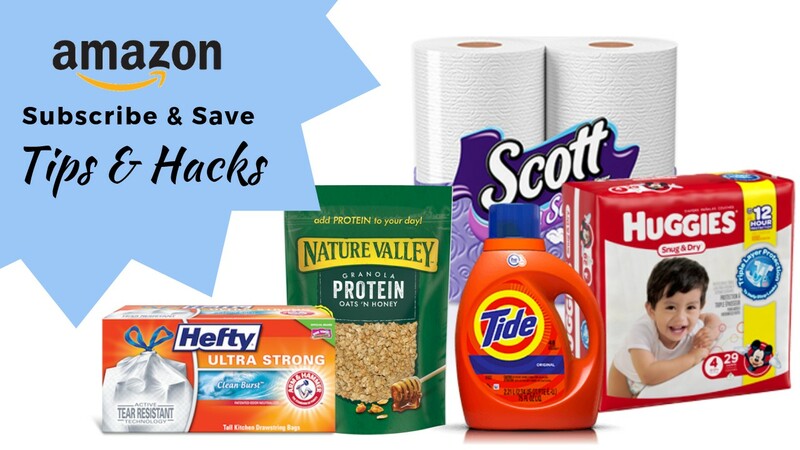 As you get into the world of Amazon coupons, you need to remember to avoid Amazon Pantry items. There are specific coupons only for Pantry items and they do not ship in Subscribe & Save orders. While Pantry can be another way to save, rarely do the prices equal the deals we get with Subscribe & Save. For us this is a yes and no based on items and deals. I know for others this is a definite yes. Whether it’s not having to lug a 40 lb bag of dog food home or knowing you’ll never run out of toilet paper, I have a number of friends that love Subscribe & Save. You may find some months that an Amazon coupon will make diapers worth it; next month, it might be better to skip that item. But hopefully these Amazon Subscribe & Save tips will help you get the most savings possible! What’s your favorite Subscribe and Save item to buy?